Does God reward good behavior? When we read this week’s Torah portion, we encounter one of two sets of blessings and curses specifically related to the performance of the commandments. First, if you do what is good and follow God’s commandments, then all will go well for you. But, if you reject God’s commandments, then a litany of curses will be upon your head. Many of them are quite graphic; they are intended to be frightening. The dwelling of the Shekhina in the midst of Israel. The Shekhina, by the way, is the indwelling presence of God, which during the wandering in the desert is represented by a pillar of fire or cloud. Though the Shekhina represents the spiritual realm, it is indeed a physical manifestation of God. The Israelites can see the Shekhina as it travels with them. It could be said, in fact, that each of these blessings are a form of material reward. And some of the commentators have had a genuine problem with that fact. It makes no sense to them. How can we gain material goods by doing what is right? How can it be that piety is rewarded with free stuff? And he has a point. This issue has long been a point of attack by those who have sought to discredit Judaism. The German philosopher Immanuel Kant, for example, argued that Judaism is not properly a religion because the Jewish Bible makes no mention of an afterlife. In his view, only those traditions that promise a reward in the world to come can make a claim to being a true religion. What are we to make of this? We have a couple of possibilities here. In other words, following the Torah will indeed make things go better for you, both in the material world and in the world-to-come. How can that be? From Maimonides’ perspective, the Torah is the product of God’s overflow, distilled into human language. Its purpose is to provide guidance in response to the daily decisions that arise in the ongoing challenge of ethical living. The best choices, of course, are those that are founded on a true understanding of the world. For Maimonides, the Torah is the source of that knowledge, for the structure of Jewish law corresponds exactly to the very structure of creation. So, that’s why it is true that if you follow the Torah, all will go well for you. But the problem with this point of view is twofold. First, if God’s providence could be counted on to rigidly assign suffering to those who had committed the most grievous sins, then perhaps problems like extreme poverty would not be a problem. Such suffering could be rationalized as deserved punishment for wrongdoing. But that is not how the world works. We know of people who are deeply knowledgeable about Torah who have seen sickness, war, famine, and other calamities. We know righteous people who have suffered. On the face of it, this suggestion sounds like a great idea. The jubilee year would prevent permanent debt and see to it that no one would lose his or her family’s ancestral home. However, in practice, the problem was that in the years leading up to the jubilee, loans to the poor stopped. Why make a loan if it will be forgiven shortly thereafter, without receiving payment? And the problem with that approach is one we understand: if no one can get credit for activities such as buying and selling land, then even greater harm is caused to the poor. So the rabbis enacted a takanah – a fix – that would see to it that these kinds of problems would be avoided. So let’s consider our second possibility: this series of blessings and curses is a kind of covenantal language. In the Ancient Near East, covenant agreements would be enacted with a series of ritual gestures. It is a way of guaranteeing that each side of the agreement – in this case, us (the descendants of the Israelites) and God – will follow it. To give an example, when I was a teacher, I enacted an agreement with my students who had been facing a difficult situation. Their teacher had left midyear and I was asked to take over the classroom. They were unnerved by the changes and needed reassurance. So together we created a covenant that specified what they would do and what I would do. We identified witnesses to our covenant – in the case of the covenant with God and Israel, it is the heaven and the earth that serves as witnesses. In our case, it was the Principal and Vice-principal. And we had blessings and curses. They were really more like incentives and punishments, really. Good behavior was rewarded at the end of semester with cake (their suggestion) and bad behavior was punished with an extra assignment (my suggestion). The advantage of the covenant model is not that we can predict how life will unfold for us if we follow the commandments. Rather, the purpose of this structure is to remind us that the world does make sense, at the core of it, even in the midst of chaos. Kari Tuling is the rabbi of Temple Beth Israel of Plattsburgh and an adjunct instructor at SUNY Plattsburgh. She will receive her PhD from Hebrew Union College in June. Nehama Leibowitz, New Studies in Vayikra, “Behukotai II” (Jerusalem, Haomanim Press), p. 580. Ibid., “Behukotai I,” p. 572. From Hilkhot Teshuvah 9, 1, translated by Isadore Twersky, as quoted in Leibowitz., pp. 577-8. Dan Nichols’ sings la’asok b’divrei torah is as sweet as honey on our tongues. The ending of the traditional blessing for Torah study is translated in our prayer-book Mishkan T’fillah as: “to engage in words of Torah”. We also might translate it as busying ourselves, or working with Torah. But most of all, I love Arthur Waskow’s wordplay: “to soak” (la’asok) in words of Torah. Torah for me is like taking a warm bath. It adds a comforting glow, provides a focus or refocus, so that I can approach the world with new vitality. A confession: Torah for me has become an addictive regular habit. Every Wednesday at 1pm half-a-dozen women congregants gather in my office to become my study partners for an hour. This year we are slowly reading Abraham Joshua Heschel’s The Sabbath. The structure I have struck with these ladies is the same one that I have with my other Torah enablers, my one-on-one rabbinic study partners, the ones with whom I tackle Zohar or Hasidic Commentary or Talmud. Such study is very different to “teaching” in the congregation, where I might be viewed as the “guide” or “expert” in the subject matter we tackle. That learning takes preparation and is goal oriented. Study is different. I have fixed guidelines for study which have allowed me through the years to make this endeavor part of my daily routine. Study should be done in true partnership. Partners should agree on a topic to study that has an equal amount of unfamiliarity to all. Study is time limited to a regular hour or hour-and-a-half on a specific day of the week. Study should be viewed as a non-negotiable appointment, and the only reason not to study is in the case of a true emergency or vacation/conference time. No partner should pre-prepare to enter this sacred time. All learning is done there and then. In study, we are all journey-folk , learning from one another, wrestling with the text and gleaning from its pages. Study in such a way means letting go and making struggle part of the process. The immediacy allows for first-time revelations and insights. The unprepared but open study table allows the text to speak to us and through us. The text becomes the direction and guide and a mirror. I share this, because so often I hear from folk that they wished they had the time for Jewish learning. They lament they cannot because life feels more urgent. Or they feel time poor. They are discouraged by the enormity of the task or their lack of expertise. But all you need is an hour. A partner. A commitment. An openness to struggle. A willingness to learn. Today while studying Heschel with my half-a-dozen partners, we read a midrash depicting an old man, who engaged in the work-a-day world, also could find the time to greet the Sabbath with myrtle (a Jewish love symbol) in his hand. Of this balancing act Heschel comments, in reference to Shabbat, that it is for us, “not to flee from the realm of space; to work with things of space but to be in love with eternity.” Shabbat for Heschel is a time-out to fall in love with eternity. For me, a rabbi whose Shabbat is often filled with spiritual labor, and running from one Shabbastik activity to another, soaking myself in Torah, helps me fall in love over and over with eternity. 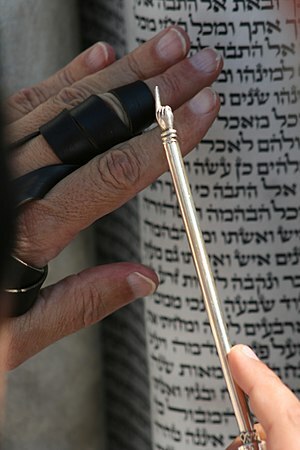 I wonder: Who passes the Torah to me? and my mother a Catholic who was once a Presbyterian. But Abraham and Sarah died a long time ago. I have no family stories about Passover. Like Ruth, I’m here only because I wanted to be. Who passes the Torah to me? And passed the Torah to me. She passed the Torah to me. They passed the Torah to me. on the doorposts of their gates. Every year, the month before Hanukkah is dedicated as “National Jewish Book Month,” by the Jewish Book Council. Since we Jews are the “People of the Book,” one could say that this is the most important of all months of the year (even though there are no Jewish holidays this month)! 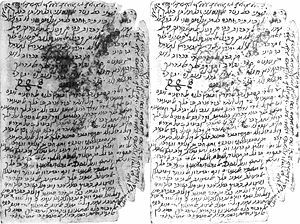 The TaNaK– I think EVERYONE would agree that the most important book for every Jew to own is a TaNaK-The Hebrew (Jewish) Bible. This book consists of the Torah, the Prophets (Neviim) and the Writings (Ketuviim). 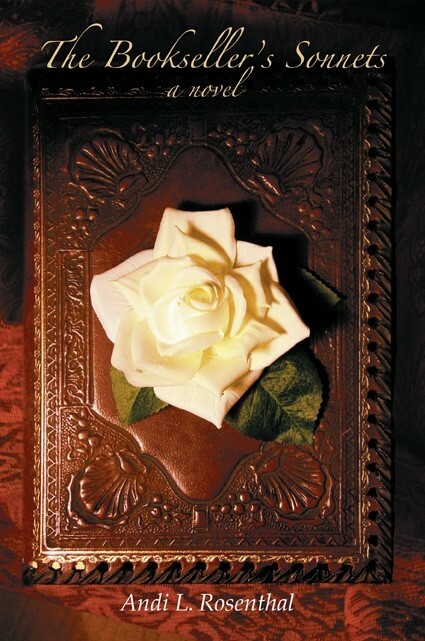 When it’s said we are the “People of the Book” THIS is THE book! I suggest getting a version by The Jewish Publication Society or even going one step further and getting “The Jewish Study Bible” which includes commentary. 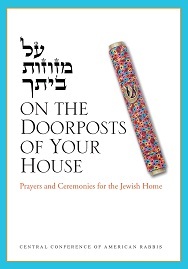 “On The Doorposts of Your House”(also published by the CCAR and also available as an “e-book”)- This great book, which many congregations give to Confirmation students has many wonderful daily prayers as well as prayers for special occasions such as birthdays, anniversaries, and even starting college. This great book also contains prayers and meditations to help during life’s difficult times. “The Jewish Book of Why” (By Alfred J. Kolatch) – Since we are known as “Israel” which means to “wrestle with God”- all the more so we should “wrestle with our religion” and be able to ask lots of questions. This is a great book (and there are subsequent volumes, as well) which will help to answer a number of both basic and essential questions. “Night” By Eli Wiesel- This is a very powerful and personal book about Wiesel’s experiences during the Holocaust. You can even download it for free here. Another important Holocaust book is that of “The Diary of Anne Frank.” We must read and reread these stories so that we never forget and so we do our part to make sure it never happens again. “When Bad Things Happen to Good People” (by Rabbi Harold Kushner)- It’s crucial to note that this book is called “When” and not “Why.” This is a great book about Jewish philosophy without being too esoteric. 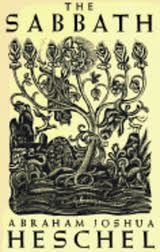 If you like Jewish philosophy, then I also suggest books by Abraham Joshua Heschel, Rachel Adler, and Martin Buber. “Exodus”- by Leon Uris- This is one of my favorite books of all time! While it is a novel, it is a great piece of historical fiction which gives accurate details on the birth of the state of Israel. Yes, the movie is good, but for sure the book is even better! 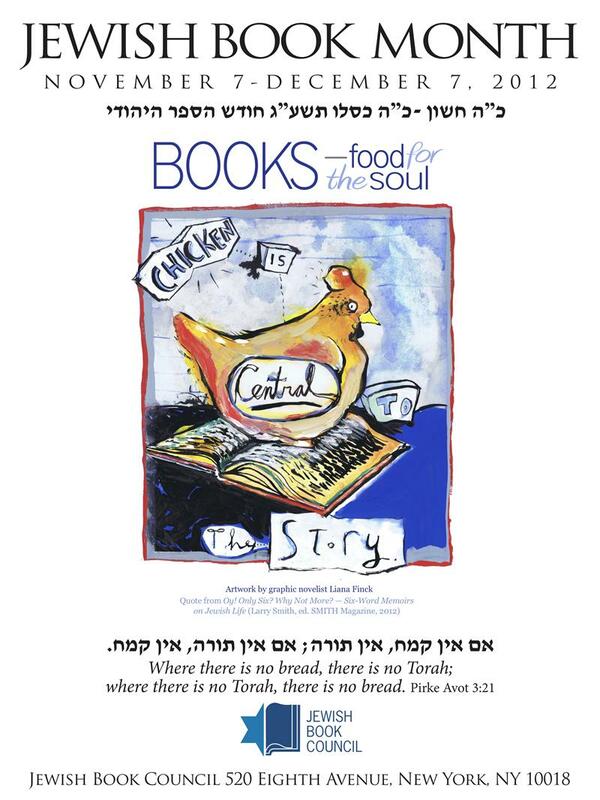 A great book by my friend, Andi Rosenthal. I hope to do a book review of this for a future post. This list could easily keep going with many books such as one of my new favorite books, “The Bookseller’s Sonnets” (by Andi Rosenthal), “Tuesdays With Morrie” (by Mitch Albom), The Sabbath (by Rabbi Abraham Joshua Heschel), books by Chaim Potok or Isaac Beshevis Singer and books from categories such as those about Jewish Humor or even Jewish Cooking. And every home should have at least one Haggadah (yes, the Maxwell House edition is good enough). Now I’m curious…What do YOU think are the most important Jewish books or simply what is your favorite Jewish book? May this Jewish Book Month and always be a time to appreciate all the Jewish books and a time to celebrate our love of reading and love of learning! Rabbi Emily Ilana Losben-Ostrov is the rabbi at Sinai Reform Temple in Bay Shore, NY. Torah is the process of Jews trying to wrap their minds around the Wonder: it is a dance between the amazed People and the Object of their amazement. I believe that the best way our ancestors could come up with to relate to Wonder was to personify God, to construct a metaphor that would allow them a way to explore holiness. They made a covenant with God, with commandments to make them holy, that is, more in tune with the amazingness of the universe. At the same time, our tradition warns against falling in love with mere images.